When adding movies, TV series or video files with .m4v file extension to a Plex library folder, Plex Media Server may not recognize the .m4v files and does not add them to the library. In fact, if the library contains solely of files ended with .m4v extension, the Plex may show you “No playable files” or “There are no items in this library” instead of showing you the video collection. 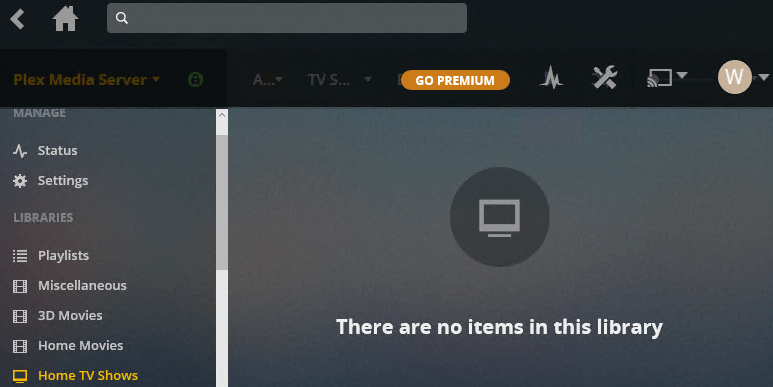 The problem happens even after user manually update and refresh the library, but the .m4v video files simply failed to show up in Plex library, including both when browsing by type or by folder. Officially Plex does support .m4v files. Here’s a few tips that may help you to solve Plex unable to detect, recognize or show the M4V video format. Make sure that the M4V files are not DRM-protected as Plex can only playback unprotected M4V video files. M4V video containers support DRM copy protection. For example, Apple encodes video files, such as TV episodes, movies, and music videos which are in M4V file format from its iTunes Store with FairPlay DRM copy protection. Try to change the .m4v file extension to .mp4 file extension. To do this in Windows, you need to disable the “Hide extensions for known file types” in “Folder Options”. Try to change the Plex library type. For example, if the currently library type is “TV Shows” (which is the library type which most likely gives the problem), try to create another new library with library type of “Movies” or “Other Videos” or “Home Videos” or etc.